别 名 Mammaglobin 1; Mammaglobin A; Mammaglobin-1; Mammaglobin-A; MGB 1; MGB1; Prostatein C3 subunit; prostatein peptide C3; Prostatic steroid binding protein, allele C3(1); SCGB2A2; Secretoglobin; Secretoglobin Family 2A Member 2; SG2A2; UGB 2; UGB2; Uteroglobin; Psbpc3. Mammaglobin is a gene that is expressed almost exclusively in the normal breast epithelium and human breast cancer. It is a member of the secretoglobin gene family and forms a heterodimer with lipophilin B. 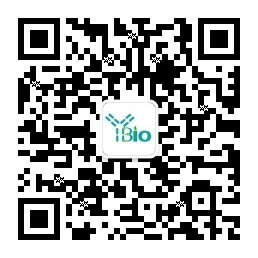 It has been suggested that mammaglobin may be a useful marker for breast cancer clinical research. Studies investigating the detection of mRNA by RT PCR from circulating carcinoma cells in the peripheral blood of breast cancer patients have shown that mammaglobin is a highly specific marker and correlates with several prognostic factors, such as lymph node involvement. Mammary gland specific. Over-expressed in breast cancer. Belongs to the secretoglobin family. Lipophilin subfamily.